Bev joined the Laguna Foundation in July 2014. She comes to us with 30 years of fundraising experience and is highly skilled in directing and executing capital and annual giving campaigns, as well as membership, and planned giving programs. Her most recent position was as Development Director for the Sonoma Land Trust where she raised over $26 million for land conservation. Prior to that, she designed and completed an $8 million capital campaign to build the Sonoma Humane Society's Adoption Center. Bev has lived in Sebastopol for 16 years and is thrilled to be a part of enhancing the Laguna Foundation's ability to secure a sustainable funding source of private capital. Adrienne joined the Foundation staff in July of 2013. She has a background working with local and international non-profits' annual fundraising campaigns, advertising, and project management. Adrienne joined the Foundation as an intern from Sonoma State University in the spring of 2013 and helped shape the first Public Education Internship with the organization. She also completed our Laguna Guides training in 2013. She holds a Bachelors degree from Sonoma State University in Environmental Studies with a minor in Geography. Maryanne became a member of the Laguna Foundation team in June 2016. Her background includes a BS in Accounting and 25 years of accounting experience in a variety of organizations including public accounting, consulting, internet startups and the wine industry. Her 10 years at Care2.com, an online social network striving to create positive change in the world, introduced her to the greater nonprofit community and the causes they advocate for. Her relocation to Sonoma County inspired her to explore the many regional and state parks in the area, reaffirming her love of nature and to seek opportunities for involvement in the local nonprofit community as a way to make her own contribution toward a better world. In her free time, Maryanne can be found hiking the nearby trails and volunteering at the Luther Burbank Center for the Arts. Maggie joined the Foundation staff in July 2005. Her background in nonprofit administration includes working for the Occidental Arts and Ecology Center, San Francisco's Friends of the Urban Forest and Giant Steps Therapeutic Equestrian Center. Maggie holds an undergraduate degree in Ecology from Evergreen State University. Sierra is a Sebastopol native whose close proximity to the Laguna instilled a great appreciation for wildlife and open space. Her work life has taken her from project management to to marketing and event planning, and for a short time in 2009, volunteering at the Laguna Foundation. 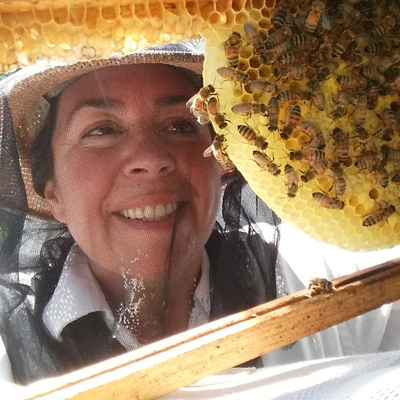 Sierra spent over a decade learning various methods of beekeeping and has enjoyed the many perspectives and opportunities offered along the way. In July 2017, Sierra returned to the Laguna Foundation as staff and is happy to serve a mission that resonates with her heart. Christine has been striving to connect people to nature since 1995. She has a BA in Sociology from Sonoma State University and a Multiple-Subject elementary school teaching credential from Dominican University. In addition to working in the formal education field, she has a background in business administration, volunteer management, and focused experience in environmental education and interpretation. Her work and volunteer experience naturally led to the non-profit field, serving as the Education Programs Coordinator for Point Reyes National Seashore Association, then as Point Reyes Field Seminars Director from 2001-07. In 2006 she began volunteering for the Laguna Foundation on the Education Program Committee and joined the staff in 2007. Allison joined the Laguna Foundation in February 2019. After growing up in Mount Shasta, California, she moved to Santa Cruz to complete her degree in Environmental Studies, and became completely fascinated by both natural history and outdoor leadership. She most recently worked in conservation management on Mount Tamalpais, surveying the vast coastal flora, and as a lead instructor for Wilderness Orientation at UCSC. She is thrilled to combine her experience in outdoor education, natural history, and conservation as our Community Education Program Manager. Wendy became our Director of Restoration and Conservation Programs in January 2015. 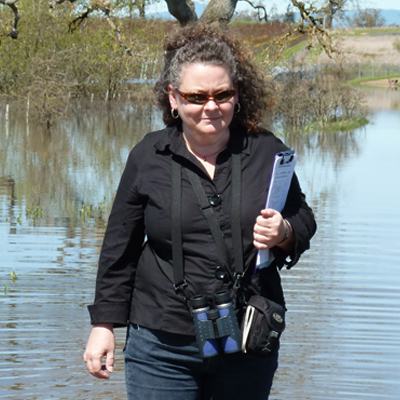 She is a wetland plant ecologist who has worked in a variety of systems from the Sacramento River to Ruby Lakes in Northern Nevada to rangelands in Western China. 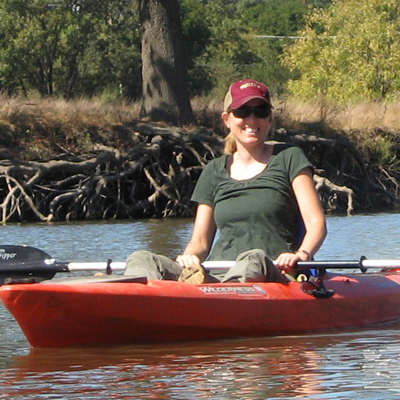 She received a PhD from UC Davis as part of a multidisciplinary study of riparian restoration on The Nature Conservancy's Cosumnes River Preserve. Prior to joing the Foundation, she was a research faculty member at the University of Nevada, Reno where her research focused on invasive species, wetland communities and aquatic food webs. 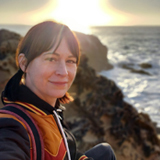 In addition to her academic experience, she has taught environmental education, managed a native plant nursery, and volunteered counting hawks for the Golden Gate Raptor Observatory. Brent's first professional experience with ecological restoration in the Laguna watershed was working on the Kelly Farm Demonstration Wetlands in 1989, while on summer break from studies for a B.S. degree in Natural Resources Management at Cal Poly, San Luis Obispo. 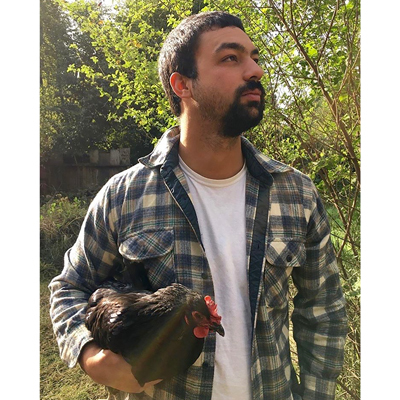 After getting his degree, Brent moved back home to Sonoma County in 1995 and has been supervising, designing, and working in all facets of ecological restoration on projects throughout northern California as a former Restoration Specialist with Circuit Rider Productions and as an independent contractor. Before joining the Foundation in November of 2011, Brent was involved in multiple restoration projects and on-going vernal pool monitoring in the Laguna watershed, often in partnership with the Laguna Foundation. 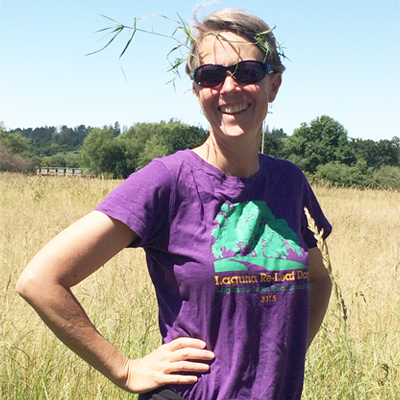 Sarah joined the Laguna Foundation staff in February of 2017 and has been volunteering with the Foundation for over ten years, beginning with the docent training program (where she visited a vernal pool for the first time). More recently, she has provided volunteer support to the Vernal Pool Citizen Science Program. 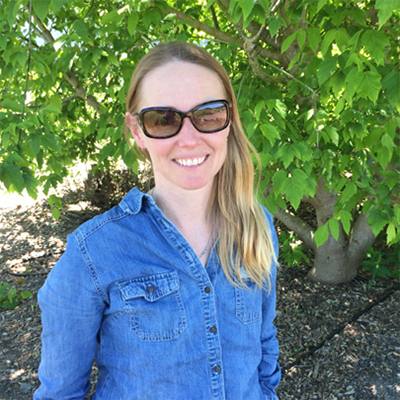 Sarah is a plant ecologist with experience in seasonal wetland plant ecology and rare plant conservation and mitigation. She completed her M.S. degree at Sonoma State University in 2006 and subsequently worked as a lecturer, research technician and ecological consultant, specializing in botany, rare plants and vernal pool ecosystems, primarily in Sonoma County. Walter joined the Laguna Foundation team in November of 2017 with over 40 years of experience in Horticulture. As a member of the California Native Plant Society since 1974, he served as the President of the Milo Baker Chapter from 1982 to 1984. While working with the Kairos Community Center in the late 70s, he worked with “at risk” youth teaching horticulture and landscape skills, worked with Circuit Riders of Windsor to plant oaks for the City of Santa Rosa at Brown Farm off Llano Rd, and with the Cities of Cotati and Rohnert Park on park development and maintenance. For nearly 34 years Walter co-owned Mostly Natives Nursery in Tomales along with his wife Margaret Graham. 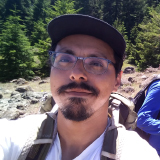 Paul joined the Laguna Foundation through the restoration internship program in 2013, after receiving a BA in Environmental Studies and Planning with a minor in Geography. He became a full time employee shortly thereafter. Since then he has supervised the installation of numerous restoration sites around the Laguna watershed accounting for dozens of acres of restored riparian habitat. Paul has helped to grow and develop some of the Restoration Department’s projects including the wildlife camera program, the internship program, and the integrated pest management program. Asa Voight, a Certified Master Naturalist, has been restoring and maintaining native habitats with the Laguna Foundation seasonally since 2015. 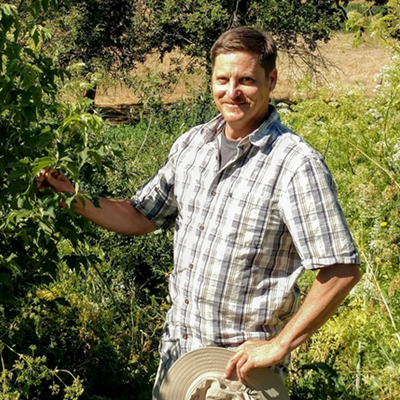 Asa’s strong background of working closely with native flora and fauna began with 7 years as a sustainable farmer along the Russian River riparian zone. His past work in natural resource management as a Crew Supervisor with Conservation Corps North Bay has given him experience leading numerous resource conservation projects in a variety of local ecosystems. Asa is thrilled to be continuing his work in ecological restoration as a full time Restoration Technician with the Laguna Foundation, restoring and maintaining this Wetland of International Importance. Elias joined the Laguna Foundation through the restoration internship program in December of 2015. While working as an intern he finished his B.A. in Biology with a minor in Environmental Studies and Planning. He went on to complete his M.S. in Ecology and Sustainability at CSU Stanislaus in 2018. Since then he co-founded Crecer ConCiencia, a non-profit organization aimed to inspire kids to love science and nature. He is inspired to continue protecting and restoring critical habitats and educating the next generation of environmental stewards.